25th March 2016 at 01:15 (IST). Italy has been qualified for the Euro 2016 finals to be played in France as they topped their group H with 24 points as they won seven and lost three matches and were four marks clear of the second-placed Croatia. They won against Norway away by 0-2, against Azerbaijan by 201 at home, against Malta away by 0-1, against Malta by 1-0 at home, against Bulgaria by 1-0 at home, against Azerbaijan by 1-3 away and against Norway by 2-1 at home and drew three against Croatia, Bulgaria, and Croatia at home. The team is full of superstars including experienced goalkeepers like Gianluigi Buffon and Salvatore Sirigu. Then in the defense they have players like Andrea Barzagli, who plays in Juventus and Matteo Darmian who plays in Manchester United. Then, we have midfielders like Antonio Candreva and Marco Verratti and the in the attack we have a player like Pelle, Eder and the talented Stephan El Sharawy. 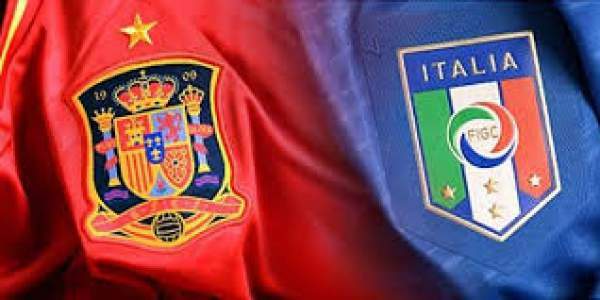 On the other hand, we have Spain, who also have qualified for the Euro 2016 finals to be played in France as they also finished first in their group C with 27 points in the ten games played, winning nine and losing one and were five points clear of the 2nd-placed Slovakia. They won against Macedonia by 5-1, against Luxembourg by 0-4 away, against Belarus by 3-0 at home, against Ukraine by 1-0 at home, against Belarus by 0-1 away, against Slovakia by 2-0 at home, against Macedonia by 0-1 away, against Luxembourg by 4-0 at home and against Ukraine by 0-1 away. Spain is also filled with huge superstars and after that horrific campaign in the 2014 World Cup in Rio, they would want to come back to winning ways. Buffon, Darmian, Barzagli, Bonucci, Chiellini, Florenzi, Marchisio, Soriano, El Shaarawy, Eder, Pelle. De Gea, Mario, Etxeita, Nacho, Azpilicueta, Alcantara, Jose, Fabregas, Isco, Alcacer, Nolito. You can watch it live on Sony Six network and ronaldo7.net. Come back for the match result, live commentary, scoreline, scoreboard, highlights, and much more. Stay tuned to The Reporter Times for latest football news and updates. Don’t forget to share it on social media sites. Next articleKumkum Bhagya 24th March 2016 Thursday Episode: Abhi decided to get married soon !